An immersive trip back into history, but with a few bumps along your turbulent journey. 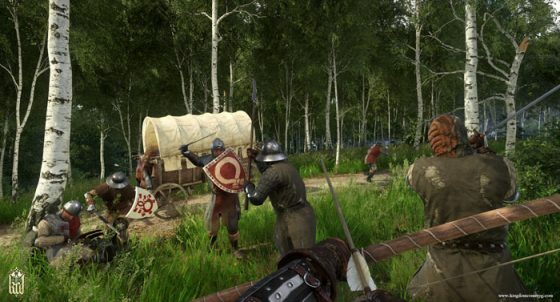 Before many of you jump the gun and start comparing Kingdom Come: Deliverance to that of Skyrim, let’s be clear that despite their similarities, this game feels much different. Kingdom Come: Deliverance is the latest RPG title from developer Warhorse Studios which takes you on a journey back in time to a medieval world where corruption was prevalent, forming bonds was vital to your survival, and traversing the world by horse was the form of transport. 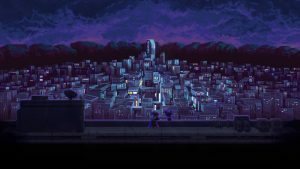 It’s a game that throws you into a world full of disarray and danger at every corner and it’s up to you to reforge history to ensure that justice is served, before everything around you turns to ashes. Kingdom Come: Deliverance feels all too real in most situations, giving players an idea of just how unforgiving life was like during those times and that you had to sacrifice a lot in order to succeed at whatever it is you’re doing. This isn’t your ordinary RPG where you’re thrown into a fantasy world and have an unlimited supply of mana, or can summon the dead and use mage-like spell casting to eliminate enemies. Kingdom Come: Deliverance delivers an experience that’s real and often makes you contemplate the importance of our own lives, especially when it comes to dealing with obstacles out of our control. 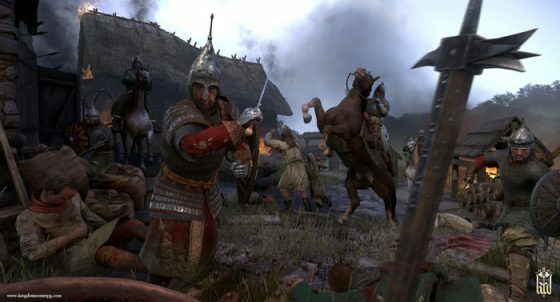 With a game as real as Kingdom Come: Deliverance, there’s certainly going to be issues that pop up throughout the game, which can be a hindrance in many regards. 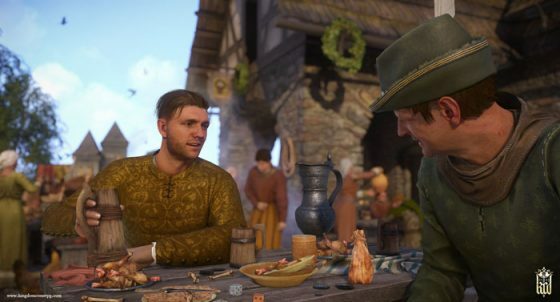 We’ll get into those problems later in the article but one thing to note about Kingdom Come: Deliverance is just how much freedom you have with regards to transforming main character Henry into whatever you desire him to be. This could mean that through various personality upgrades you could turn Henry into a bloodthirsty tyrant who shows no mercy for his enemies, or create a more sensible character who’s able to persuade and use tactful communication to get out of sticky situations. Pair that with the ability to roam around the world and tackle various missions from other villagers or comrades around you, and Kingdom Come: Deliverance feels like a world you’re actually living in. It doesn’t try to create any fluff or superfluous scenarios that may steal your attention away from the immersive experience, such as corny mini games or senseless battles, it always tries to maintain its realism through and through even down to the finicky sword battles that you deal with quite frequently. With that in mind, let’s dive a little deeper into the gameplay mechanics and explain the pros and cons of the game. You star as a young rebelious man named Henry, who finds himself between a rock and a hard place. It’s the year 1403 and the kingdom of Bohemia is in the midst of a terrible war. Hungarian King Sigismund orders a raid to be carried out on the mining village of Skalitz, by the Cuman mercenaries. As Henry and his family desperately try to escape and protect the village, the Cuman prove to be a unrelenting bunch and brutally slaughter every person in their path which unfortunately included Henry’s parents. Robbed of both his freedom and family, Henry is thirsty for revenge and seeks out the help from Lord Radzig Kobyla, who’s the main leader towards the resistance of the invasion of Sigismund’s mercenaries. With justice being the only thing his mind can focus on, he seeks out to restore peace to the land while assisting in the effort to ensure that Wenceslaus IV, Sigismund’s half-brother, can assume his position on the throne. 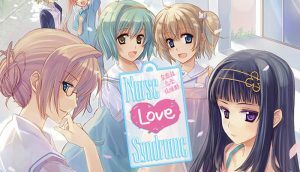 The story is a very emotional one off the bat and so immediately the game lures you in with a compelling narrative, which only makes the gameplay more satisfying down the road. 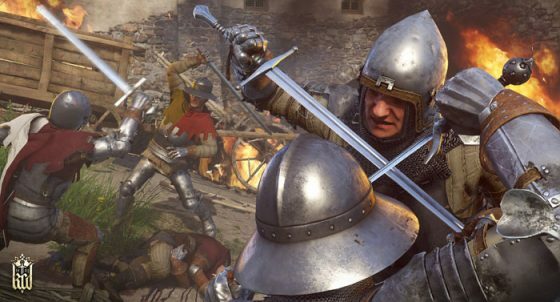 As we mentioned earlier in the article, Kingdom Come: Deliverance is built around sheer realism and that goes all the way down to the battle mechanics themselves. Frustrating and wonky they may be, it paints a realistic picture to remind you that Henry was not very skilled with swordplay, and that the only way to truly master the sword is to use it battle. That was sort of foreshadowed by Henry’s father while you were out doing training missions and it starts to make more sense once you actually find yourself in very risky scenarios. The beginnings of the game will certainly make you want to shut the game off in annoyance because the battle controls feel strange, but the longer you spend time honing your skills and developing Henry’s character everything starts to feel a little more functionable. 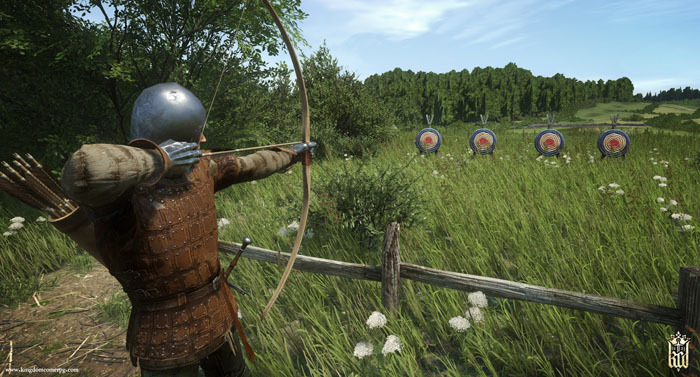 That isn’t to say the mechanics in the game are perfect because they’re far from it, in fact Kingdom Come: Deliverance comes with a plethora of buggy moments not just through gameplay but also during vital missions throughout the game. There were times when we ventured out in order to speak with a villager about collecting materials only for that villager to vanish from their position when we returned with the specified goods. It made us scratch our heads for a bit but also grew a bit irritating since that character would never show up again unless you saved at a certain point prior. Which brings us to another downside to Kingdom Come: Deliverance and its lack of save points within the game. Unlike in most RPG titles that allow for players to save at various points in the game through save locations, Kingdom Come: Deliverance provides very little opportunity to save when you want to and if you needed to really badly, it would cost you dearly. In the early parts of the game, your girlfriend Bianca provides you with Savior Schnapps that you can use to save when you feel it’s necessary, but with so many stressing moments throughout the game, it becomes real tough to determine just when to use them effectively. After you rest the game saves automatically but it’s not like you can simply pick a spot in the game to rest, there are specific locations for you do so which may or may not benefit you in the long run. Out of all the features in the game, we feel like the save system was perhaps the most lacking and definitely requires some attention, especially with a patch to help balance out the controls. There are a lot of quests that don’t allow you to save due to their multi-layered objectives, and that usually takes up a lot of your time so you end up having to backtrack for long periods of time just to save again. Pair that with what we said earlier about the battle system being wonky at times and you can see why the game can be quite maddening. 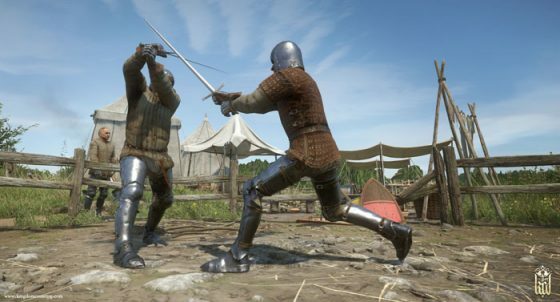 We admire the fact that Kingdom Come: Deliverance wants to ensure players that you’re immersed in a real world where many surprises can take place and that no battle is ultimately won, but much of that is jarring when you can’t save when you feel it’s right and tough battles can become truly nerving. Hunting for food isn’t always easy but it’s definitely not as bad as taking on a group of mercenaries where you stand little to no chance of surviving. It’s certainly a cruel ordeal but helps to put things into perspective to make you realize just how hard life was back in the 15th century. Your appearance and way of communication are also monitored and so staying clean during your journey can help to open more doors down the road. It’s just like the lives we currently live where personal hygiene is of the utmost importance when conversing with those high in management, or when you want a favor done for you. Kingdom Come: Deliverance reminds you every time that attention to detail is the focal point and while you may not agree with it all, it’s a grim reminder that life isn’t always meant to go the way you want it to go. Overall we had a wonderful time with Kingdom Come: Deliverance because it’s a valuable history lesson that can teach us the more relevant aspects of life not only during that brutal period, but the period in which we live in now. No battle fought will always be a victorious one, learning to evolve and grow through your adventures is vital to your success, and there will be very frustrating moments that often test your patience. 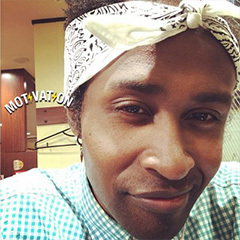 Everywhere you run in the game feels alive, lush, vibrant, and doesn’t shy away from keeping you absorbed, with the games voice acting maintaining that 15th century authenticity. 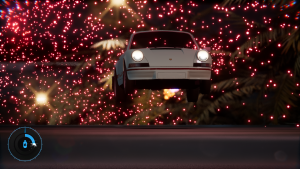 It’s buggy yet amusing moments keep you engaged in the enthralling story and have you working hard to ensure that Henry gets the justice he surely deserves. Hone your skills and overcome the burdens that lie ahead. Incredible realism both visually but historically as well. Truly immersive experience from start to finish. In depth character growth system that allows you to determine Henry’s fate the way you see it. Battle mechanics need a lot more polish. Buggy cutscenes and vanishing NPC need a fix. The save mechanic definitely needs an overhaul to help balance the pros. It’s by no means a perfect game but it’s certainly not terrible by any means. Kingdom Come: Deliverance delivers on its promise to capture the hearts of players with its realistic approach to 15th century history, while creating a thought provoking narrative that reels you in every time. It teaches you a lot of aspects about life that many of us often take for granted but reminds you in often grim scenarios that act as a wake up call. It’s action packed and provides just enough of emotional thrill to keep you coming back for more.